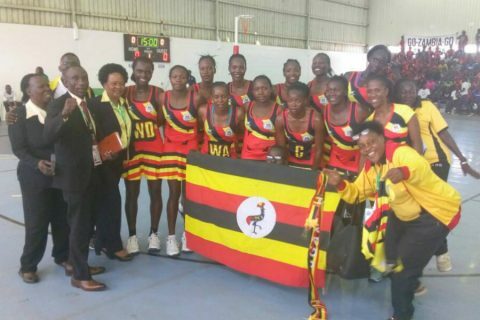 Lusaka – he Uganda Netball National team, the She Cranes were crowned African champions for the second year running after defeating Zimbabwe on the final day of the competition. After winning last year’s championship in Kampala-Uganda, the She Cranes overcame their South African counterparts 66-51 to ensure that they complete an 100% record in Zambia. Both sides when into the game with equal chance having win their first four games but it was the defending champions who took the early initiative as they won the opening quarter 18-14. Uganda went on to win the second quarter by two and ensure that they held a healthy six goal lead at halftime. Despite a spirited effort by Zimbabwe in the last two quarters, Uganda produced a scintillating display on route to 15 goal victory. The win also ensured that the She Cranes go into next year’s World cup in Liverpool-England as African champions. This will be the third time that the nation features at the global showpiece after appearing in the 1978 and 2015 edition.